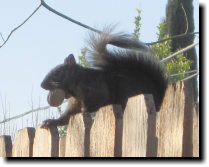 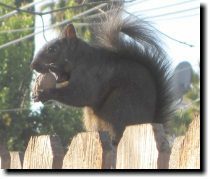 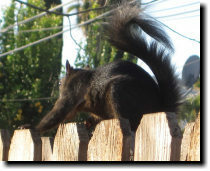 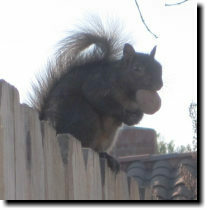 Once we started seeing black squirrels, they became increasingly common, but most of them stayed shy. 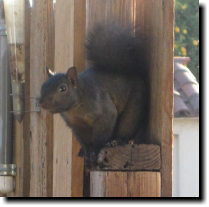 It was nearly five years between the first black squirrel we saw and the first one friendly enough to take our nuts regularly. 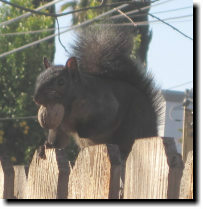 Finally, in 2013 we had a male visitor we called Little Blackie (or LB) after the pony in True Grit, who was quick to figure out our status as nut supplier, and eventually became brave enough to take walnuts from our hands.